Lisbon, best known for its inexpensive seafood meals, faded colonial architecture from Portugal’s international empire and throwback cable cars, makes for one of the best destinations to visit in Europe. Being a coastal city, Lisbon marries city and beach life better than any other place in the world. This small city has its own charm particularly in the summer months. As you head towards the beach on begonia blossomed streets, you will witness cars with surf boards stacked on top as people make their way to the beachy suburbs of Cascais and Estoril, a short 20 minute drive from the city center. Either go skin deep in the cerulean blue dome or get some sand between your toes whilst enjoying the breeze of the salty Atlantic air, or maybe you can just enjoy a plate of garlicky ameijoas (seashells) with a tumbler of brain-freeze cold lager. The social life of the city is bursting with everything from electronic music to philosophical conferences to free-form jazz. For those who think Lisbon is only about the traditional Fado, a quick reality check will show that there’s much more going on. In the last couple of years, many innovative music spots have popped up around Lisbon. Be ready to find intimate supper clubs to warehouse dance halls. These new generation hangouts are enriching the Portuguese capital’s sonic spectrum where music aficionados and bands of all styles converge. There is something very unique about Lisbon, as you visit the city you will witness century-old wooden trams and iron funiculars that still lurch and rumble their way among the seven steep hills over which the city lies. If you’re up for a wander around the city streets there’s no getting bored in Lisbon thanks to intricately patterned cobblestones under your feet and the magnificent architecture. European big capitals like London, Berlin, Paris and Madrid may have blockbuster art collections, but Lisbon's inhabitants have access to their own rare panoply. Lisbonites have a sharp eye for design and a great place to witness this is the ‘Gulbenkian’ Foundation, check it out! 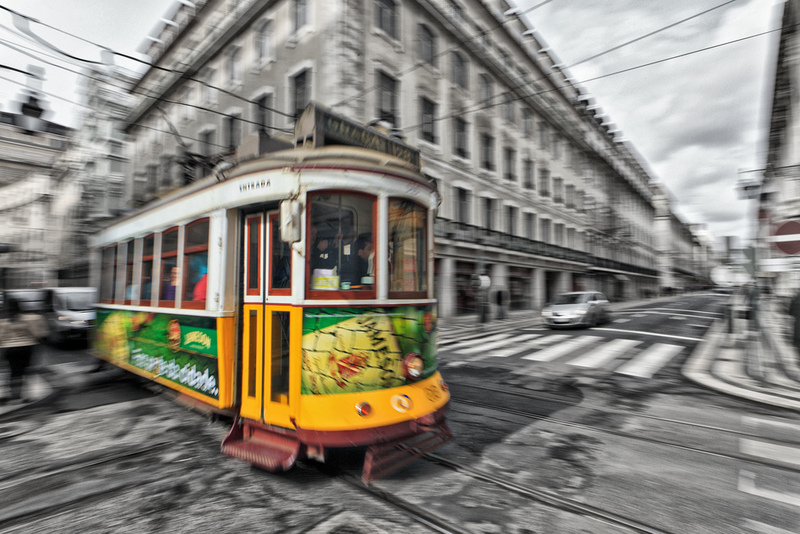 The night- life in Lisbon can outlast Madrid’s. The roving nocturnal flow only seems to end when dawn rises over the Tagus River, making the city a libertine’s dream. You can find all of your main action in Bairro Alto where more than 250 appealing bars line besides graffiti-plastered walls. The city is rarely too hot or cold and makes for a perfect all-year round destination. However much of the city seems to shut down in August when local restaurants and bars close and majority of inhabitants prefer to escape the steamy city for the more cooler Atlantic shores.